Antitrust law has been much in the news recently, but not in a good way. A spate of articles from The Economist, The Atlantic, and The Nation, among others, talk about America’s “Monopoly Problem.” By this is meant that major sectors of the US economy have become highly concentrated, enjoying high profits and the ability to depress wages. Entry into these industries has become a trickle, protecting dominant firms from real competition. As teachers of antitrust law, we must report—reluctantly—that antitrust law is partly to blame. What started in 1890 as a legal sword to keep markets competitive, antitrust law, as interpreted in court decisions over the last 40 years, has increasingly become a shield insulating large companies from competition. Influenced by hands-off economic thinking, courts too often assume that mergers will be benign, if not beneficial. Too often they downplay the effects of exclusionary practices that protect profitable incumbents from competition from new entrants in their markets or in adjacent markets. Recent cases illustrate this problem. In the $85.4 billion AT&T/Time Warner merger, a trial court brushed aside current economic analysis as well as explicit documents explaining how the acquisition of a major content provider like Time Warner could strengthen AT&T’s ability to demand higher prices for popular content. Instead the court relied on the testimony of the CEOs of the merging firms who—with billions on the line—discounted the companies’ previous analyses of such a transaction. The result? The merger was approved, and although the court had been assured at trial that prices would not go up after the merger, AT&T immediately boosted rates for basic service offered by its DirecTV subsidiary. Approval of this merger touched off a multi-billion-dollar bidding war between Disney and Comcast for 21st Century Fox, which is expected to be just the beginning of a new wave of mergers in the entertainment industry. Further, this decision has been interpreted by some as a green light for vertical mergers in other industries as well. The Antitrust Division has now appealed this decision, so there is some chance that it can be reversed. But undue deference to executives’ views of what’s good for the public and refusal to recognize modern economic analysis of transactions and restraints will not be rooted out with a single appeal. In Ohio v. American Express, the US Supreme Court in a 5–4 decision concluded that contract terms imposed by AmEx on retailers prohibiting them from encouraging consumers to use credit cards which charged the retailers less in fees were not anti-competitive. In reaching this conclusion, the majority opinion found that 20 AmEx price increases to retailers over five years did not trigger a shift in the burden of proof requiring AmEx to prove the pro-competitive benefits of its exclusionary rule. In support of this surprising conclusion, the majority cited a spate of economic studies which, as Justice Breyer pointed out in dissent, did not actually support the majority’s decision. The court’s uncritical—and misapplied—invocation of the economic literature on “two sided markets” will make it harder to apply the antitrust laws to attack exclusionary conduct by other “two-sided” platforms, such as Google or Facebook or Uber. The decision may also chill future antitrust enforcement in other areas. In the healthcare sector, for example, serious concerns are raised by anti-competitive vertical mergers such as the acquisition of physician practices by dominant hospitals and the proposed CVS/Aetna merger, which would combine the nation’s third-largest health insurer with the second-largest pharmacy benefit manager and second-largest retail drug store chain. It is time for new antitrust thinking based on the best, most current economic analysis. As noted by the Seventh Circuit in a recent hospital merger case, courts should “respond to the academy’s evolving understanding” of markets. Courts must focus on the dangers of concentration and exclusionary conduct, and not make reflexive assumptions that vertical mergers are procompetitive or that markets will be self-correcting. Notwithstanding the trial loss in the AT&T case, the Antitrust Division should not shy away from challenging anti-competitive mergers or exclusionary conduct by dominant firms. The FTC, with its unique powers to do in-depth studies, should expand its retrospective analyses of prior mergers and cases in which courts have approved exclusionary restraints. In this regard, the planned FTC hearings this fall are a good step. In prior years, thoughtful, retrospective FTC studies of healthcare markets helped reform litigation of healthcare mergers, much to the advantage of consumers and small businesses. Finally, Congress should step up and consider improvements to the antitrust laws. The United States is unique among developed nations in relying on case-by-case court decisions to develop its competition policy. By contrast, many nations with advanced antitrust laws rely on administrative enforcement of detailed statutes and regulations to address potentially anti-competitive conduct. They use smart presumptions that recognize the dangers of things like exclusionary conduct, but provide that these presumptions are rebuttable, that is, defendants can offer evidence that in a specific instance such restraints should be allowed. In the US under current court interpretations, the possibility that a restraint might have some theoretical benefit results in a litigation burden that is virtually insurmountable, as illustrated by the AmEx case. America’s monopoly problem is real. This not only adversely impacts consumers but also reduces opportunities for many workers. Now is the time to renew the antitrust enterprise using the best of current economics informed by a realistic appreciation for how markets actually work in the real world. Thomas Greaney is a Visiting Professor at UC Hastings College of Law and Professor Emeritus at Saint Louis University School of Law. 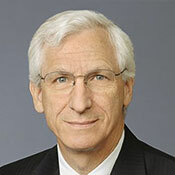 He formerly served as Assistant Chief in the Antitrust Division of the U.S. Department of Justice. 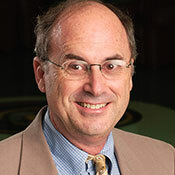 Samuel R. Miller is an Adjunct Professor of Law at UC Hastings teaching a seminar on antitrust in high-tech markets. He formerly worked as a partner in private practice and for the Antitrust Division of the U.S. Department of Justice.